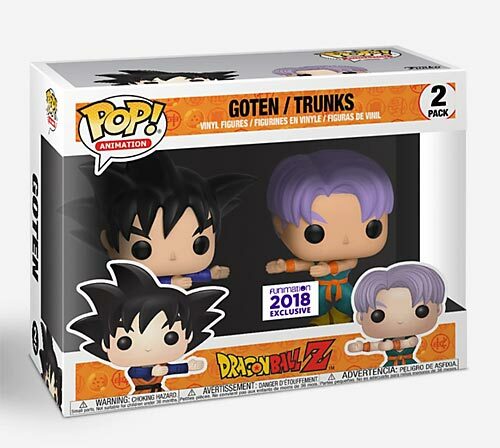 Funimation currently has this cute exclusive Goten/Trunks Dance Fusion Funko Pop set on their site. We hear this is a limited edition thing, so not sure how long they will be in stock. This scene is from the DBZ Episode “Gotenks is Born”. 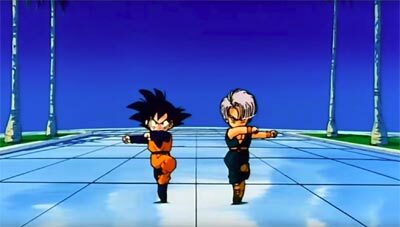 Piccolo feels it is time for Goten and Trunks to perform the fusion dance at their full power without going Super Saiyan. They perform for the first time and it doesn’t go to well as they end up in a fat form … they try again and end up with a very skinny boney form. Piccolo has his doubts, but then they concentrate and perform it correctly and out comes Gotenks in a brilliant light. Piccolo is impressed but Gotenks brags about how he can beat Majin Buu right now and flies off to face him not listening to Piccolo’s warnings. Gotenks find Buu terrorizing a small town and challenges him. Next articlePokemon’s 1000th Episode Airs in the UK on Friday the 13th!